Pace duo Rahat Ali and Haris Rauf shared seven wickets between them to power the Qalandars to victory. Rauf’s fast Yorkers were unplayable and he ultimately walked away with four wickets, completely dismantling Karachi’s middle-order. 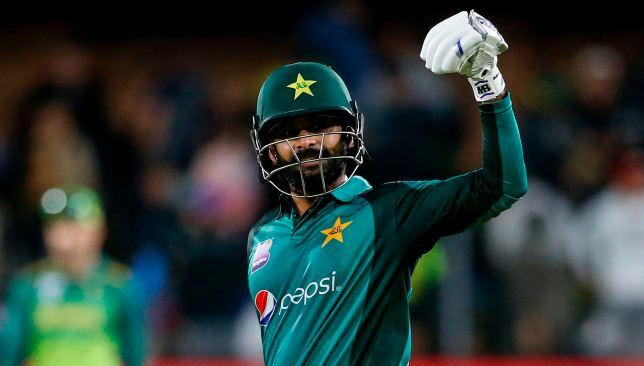 An emotional Rauf – who clocked 148kph during his four-wicket burst – was visibly in tears after his stunning performance earned Lahore and him two points and a player of the match award. The Rawalpindi-born star registered bowling figures of 4/23 in one of the most memorable innings of his career. “It’s like a dream come true for me,” Haris told Geo after receiving the Player of the Match accolade for his fairytale display. “I had never played proper cricket before appearing in the trials for Qalandars, it was the first time I bowled with the hard ball,” he said. The pacer also spoke about how Lahore’s player development programme helped him develop. 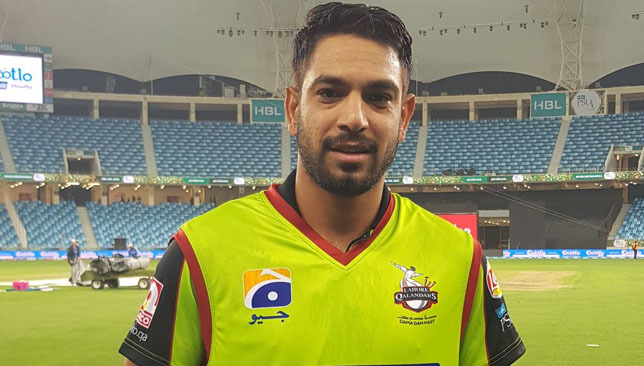 “I always thought that these trials are just to accommodate players who have connections but Lahore Qalandars’ player development programme is different and it indeed gives players a chance to show off their talent,” he said. Although he consistency bowls at a pace of over 140k/h, Rauf wants to deliver the fastest ball in PSL. “I want to deliver the fastest ball in PSL, and Insha’Allah I will do that in this tournament,” he added. Lahore Qalandars’ emphatic win over Karachi Kings was soured only by the thumb injury suffered by captain Mohammad Hafeez, who risks missing Sunday’s Pakistan Super League clash with Peshawar Zalmi. The 38-year-old, who scored 14 runs off 11 balls against Karachi, sustained the nasty injury in the 12th over when the Kings were batting at 71-2. The Qalandars went on to win the match but Hafeez’s doubt is a major worry for head coach Aqib Javed. Hafeez, who retired from Test cricket in December, has not been officially ruled out of Sunday’s match against Zalmi but the noises from the Lahore camp last night were not encouraging. The Qalandars have been the biggest under-performers in competition history and have finished bottom of the league in each of the three editions held so far. Qalandars face Zalmi on Sunday, before a clash with Multan Sultans on Friday. Hasan Ali celebrates. Image credit - @thePSLt20/Twitter. Fresh from their win over Karachi Kings in the 2019 Pakistan Super League (PSL), Lahore Qalandars will turn their attentions to Sunday’s clash against 2017 champions Peshawar Zalmi. Peshawar Zalmi were comfortably dispatched by Quetta Gladiators in their campaign opener and Darren Sammy’s men will be itching to get their first win on board when they take the field against Lahore. The franchise will be pleased to have secured the signing of Misbah-ul-Haq with the former Islamabad United skipper showing his worth with an unbeaten 49 against Quetta. The veteran will be key going forward for a Peshawar line up filled up with attacking batsmen with his ability to anchor the innings. The side’s old heads in Kamran Akmal and Wahab Riaz have carried on from where they left off in the third edition and were excellent in the clash against Quetta despite the loss. However, question marks remain over Kieron Pollard who failed miserably with the bat while his compatriot Andre Fletcher did not really trouble the scoreboard either. In Dawid Malan, they have a batsman who has performed for them and Sammy will be tempted to bring in the Englishman in the playing XI. Sammy’s own contributions will be under the scanner on Sunday with the West Indies all-rounder playing no part with either ball or bat in the loss to Quetta. Lahore Qalandars, on the other hand, will be buoyed by their 22-run win over Karachi Kings on Saturday after tasting a defeat against Islamabad United in their campaign opener. It was the display of youngster Haris Rauf which was at the forefront of Lahore’s victory over Karachi with the right-arm pacer picking up four important wickets at the death. Rauf and Shaheen Afridi were both in pristine form in the clash and the performances of the two youngsters will please the Lahore management no end. However, star man AB de Villiers is yet to come to the party for Lahore with the South African falling cheaply once again on Saturday. Lahore will believe they can take their game to the next level once De Villiers finds his feet and they will hope for a big innings from the 34-year-old come Sunday. The Qalandars threw away an excellent start in the loss to Islamabad but things are starting to click for them now and they will be eager to keep up the winning momentum going. Qalandars will be without the services of leg-spinner Sandeep Lamichhane once again with the Nepal star due to turn out for Melbourne Stars in the Big Bash League final on Sunday which means Pakistan veteran Yasir Shah should get another outing. Match starts at 20:00 UAE time.